As the Fellowship for Intentional Community approaches its 30th birthday we’re stepping into a major transition period. In the Fall 2015 issue of Communities, Laird Schaub announced his retirement as Executive Director of the FIC, and identified me as his successor. I’d like to introduce myself and talk about where we’ve been and where I think we’re heading as an organization and a movement. My name is Sky Blue. I’m 35 years old and have lived collectively for a total of 18 years. It was a surprise to find myself moving into this new role, but in retrospect it makes perfect sense. Unbeknownst to me, I’ve been training for this job my entire adult life. My parents met at Twin Oaks Community in Virginia in the late ’70s. My older half-brother, having spent time at Twin Oaks as a child, moved back when he was an adult. He later moved to East Wind Community in Missouri, where I visited him when I was 18, my first experience of community. My older half-sister spent most of her college career in the student housing cooperatives at UC Berkeley. My father helped found Valley Oaks Village Cohousing in Chico, California. It goes back further. My great-great-grandfather was a campaign organizer for Eugene Debs, presidential candidate for the Socialist Party in the early 1900s. My grandmother did bridge-building between the Green and Democratic parties in San Diego, and wrote grants for her public library for solar panels and other environmental improvements. I’m grateful and proud of the lineage of community-builders I come from, and I’m passing it on. My 13-year-old son has been raised at Twin Oaks, growing up in the culture of sharing and cooperation that we are working to build. Community is where I come from, and it’s what I’ve devoted my life to. I moved to Twin Oaks as a fresh-faced, idealistic 19-year-old, already holding visions of creating a new community. I’d gotten a start in community living at the cohousing community with my dad, and then in the Cesar Chavez Student Housing Cooperative in Santa Cruz, California. I’d dropped out of college in part because I was learning more from the co-op than I was from my classes, and I wanted to follow that passion. After moving to Twin Oaks, I soon got involved with managing our tofu business and our annual Communities Conference. I started doing facilitation and mediation in the community, too, and became one of the delegates to the Federation of Egalitarian Communities. I was eager to learn, and Twin Oaks provided ample opportunity. Eventually I served a term on the community’s Board of Planners, helping to create new policies and run the yearly budgeting process that sustains this income-sharing community of 90 adults, 16 kids, and a budget of over $1 million. Living in community invariably demands a lot from people, and so we do our best to meet the needs we see around us, picking up skills along the way. I didn’t mean to be building a resume; it just sort of happened. In 2008 I moved to Charlottesville, the city closest to Twin Oaks, and pursued an urban community-building strategy. I lived in a collective house, helped start two small cooperative businesses, helped get a truck-share started, worked with Food Not Bombs and an alternative transportation agency, and organized potlucks and movie nights, among other things. I wanted to see how much of the lifestyle of Twin Oaks could be incorporated into a life in the city while also making that lifestyle available to others. During this time I acted as staff facilitator for PEACH, a fund for major health care incidents and lending, with about three quarters of a million dollars in assets, created and managed by communities in the Federation of Egalitarian Communities. What mattered was building community, for myself and others, and I learned what I needed to in order to help move projects forward. I was surprised and flattered to be recruited for the FIC Board about two years ago. I was told the organization recognized the need for newer, younger people to step in, bring new excitement, and help things evolve. I love developing things, so this was the perfect pitch. I’d been on the periphery of FIC activity for 15 years. To be honest, my perception of the organization was that it was somewhat narrow in its focus and in danger of becoming antiquated. I thoroughly believed in the FIC and recognized the importance of its efforts, particularly in the Communities Directory and this magazine. The fact that this organization has accomplished so much on a shoestring budget, without foundation or government funding, verges on miraculous, and is a testament to the dedication of the people who’ve built it over the last 28 years. Being offered a chance to come in and stir things up was too good to pass up. I joined in May of 2014, and almost immediately heard that Laird was interested in phasing out of the ED role. I expressed interest, and in May of this year, the Board made the decision. It’s an honor to be given this responsibility. It happened quickly. The FIC and I hadn’t dated very long before we got married. But we’d known each other a long time, and I have a tendency to jump into things. And the landscape of intentional communities has evolved considerably since the FIC started 28 years ago. Cohousing was imported from Europe, with the first community finished and occupied in 1991. The Ecovillage movement started in the mid-’90s, with the Ecovillage Network of the Americas, a region of the Global Ecovillage Network, forming around 1996. Urban community-building has become prominent, with formal and informal collective households popping up frequently, often in conjunction with urban agriculture projects, and coliving and coworking models have become a recent trend. The worker co-op movement is also on the rise, with the formation of the US Federation of Worker Cooperatives in 2004, playing a more active role in the cooperative business world. The movement is somewhat stratified between more mainstream institutions like credit unions and rural agricultural and electric co-ops, and the more radical food co-ops and worker co-ops. Where intentional communities have focused on the residential aspects of shared resources, worker co-ops in particular focus on the financial. It’s easy to see them as two sides of the same coin, especially when you look at intentional communities that incorporate cottage industries. But significant differences both culturally and in their affiliations have kept them siloed. 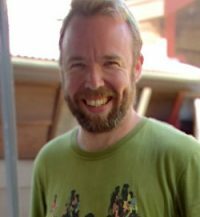 Other important players in the mix now include the Transition Town and Permaculture movements, the New Economy Coalition, the various Solidarity Economic networks, Maker Spaces, and online sharing platforms like Shareable.net and Kindista.org. People within all of these different groups increasingly seem to recognize that social, ecological, and economic concerns are all inextricably intertwined, and that community—manifested in the daily, personal relationships between people and the concerns they share—is at the center of it all. The FIC is one player in this very large movement towards a just and sustainable human society. We have a lot to offer and a lot to learn. Closer to home, as new, innovative models of intentional community pop up, we need to make sure we’re staying connected to what’s going on and responding to the evolving needs and aspirations of different groups. Many new groups form spontaneously without knowledge of the larger movement and history of intentional community. Some are hesitant to associate themselves with groups that might give people the wrong impression; others are excited to find they have allies out in the world. Networks are only as powerful as the people and organizations that make them up. The FIC has developed a strong network over the years, but we need to keep strengthening it. We need to make sure we’re offering a mutually beneficial relationship. We need to do a better and better job of providing products and services that support the development of intentional communities and cooperative culture, and find the allies we need to build our capacity to make a bigger impact in the world. And, it’s time the world knew! 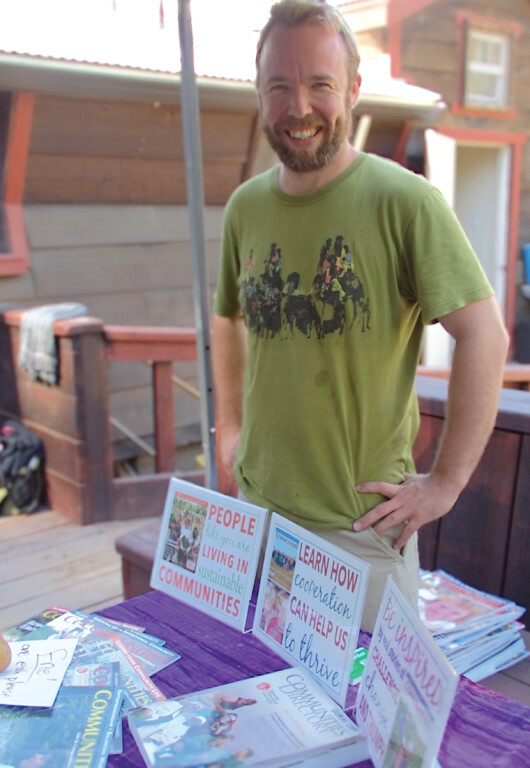 Intentional communities have been getting more media attention recently. In the last year, Twin Oaks has been visited by Al Jazeera America, Yahoo! News, CNN.com, and ABC Nightline News, all of which gave positive (if at times patronizing) spins on the community and lifestyle. Societal awareness of the global problems facing humanity is on the rise and people are looking for solutions. We certainly don’t have all the answers, but we have important pieces of the puzzle and we have a responsibility to share what we’ve learned. The FIC’s mission is to support and promote the development of intentional communities and the evolution of cooperative culture. As I transition into the role of Executive Director, I have two questions for you: What can the FIC do for you? What can you do for the FIC? We all want to change the world. It’s going to take a community effort. Sky Blue is incoming Executive Director of the Fellowship for Intentional Community. Reach him at [email protected]. Great article and I learn some things about our new leader.